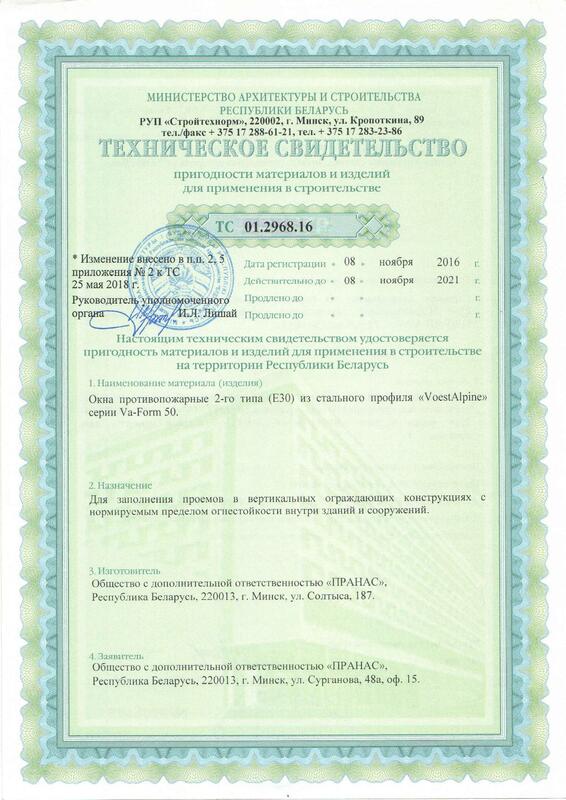 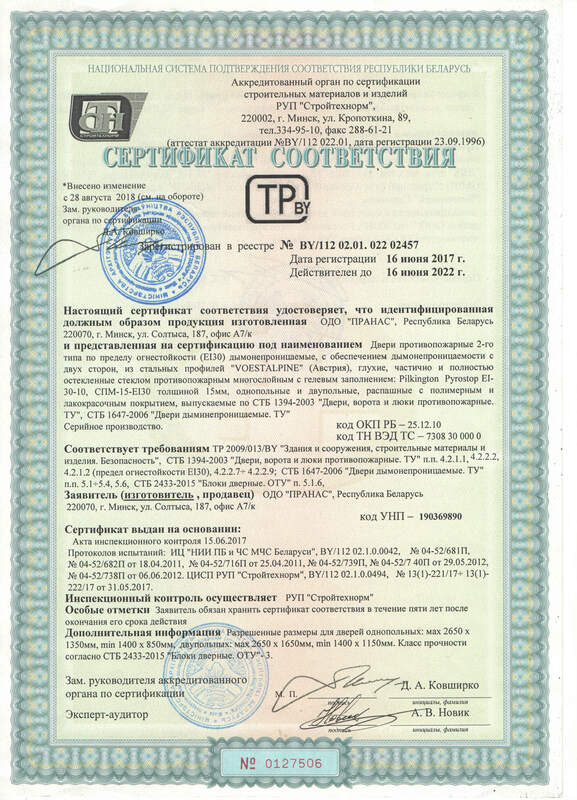 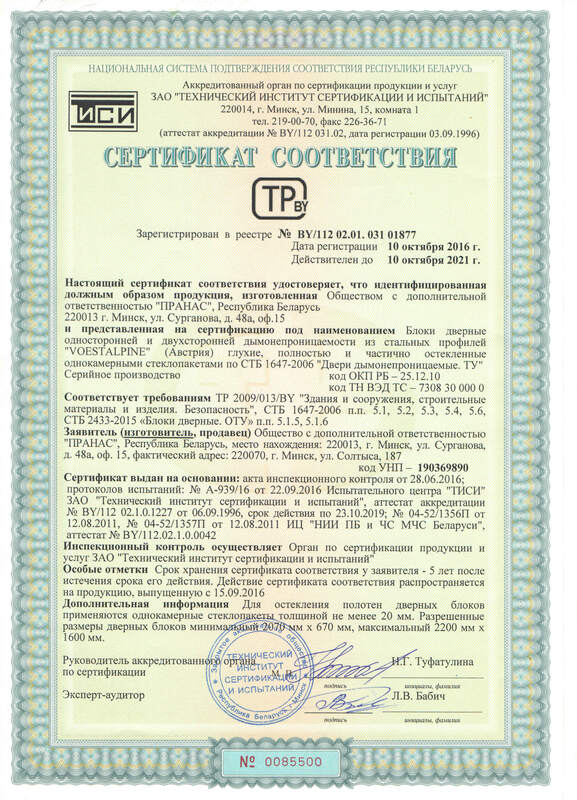 Our production conforms to all Belarusian, Russian and international standards. 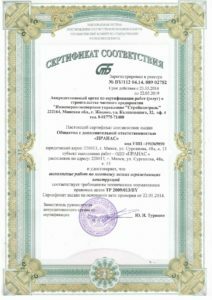 Our fire-prevention designs conform to the standards E30, EI 30, EI 45, EI 60, EI90. 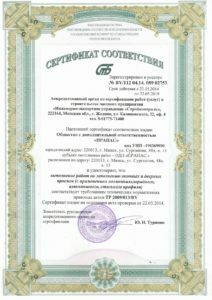 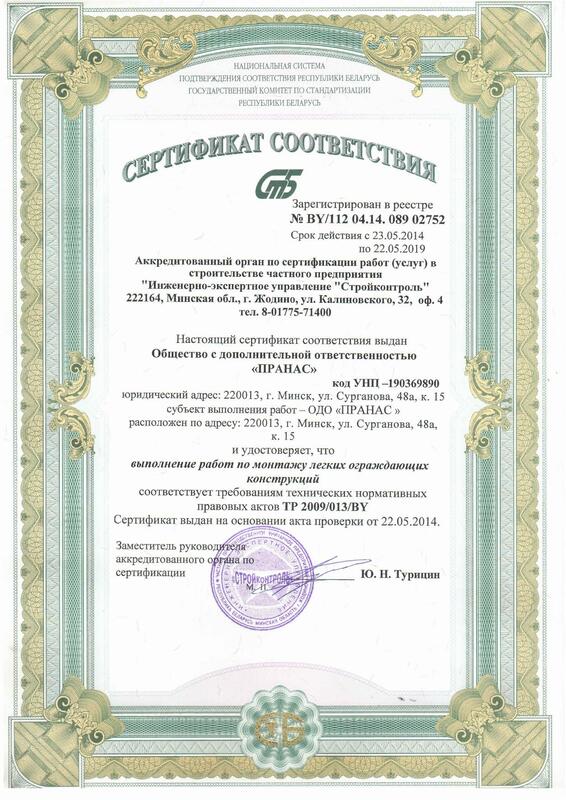 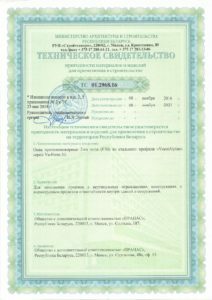 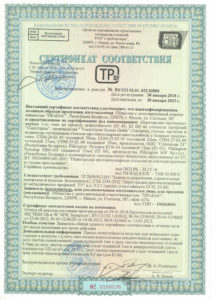 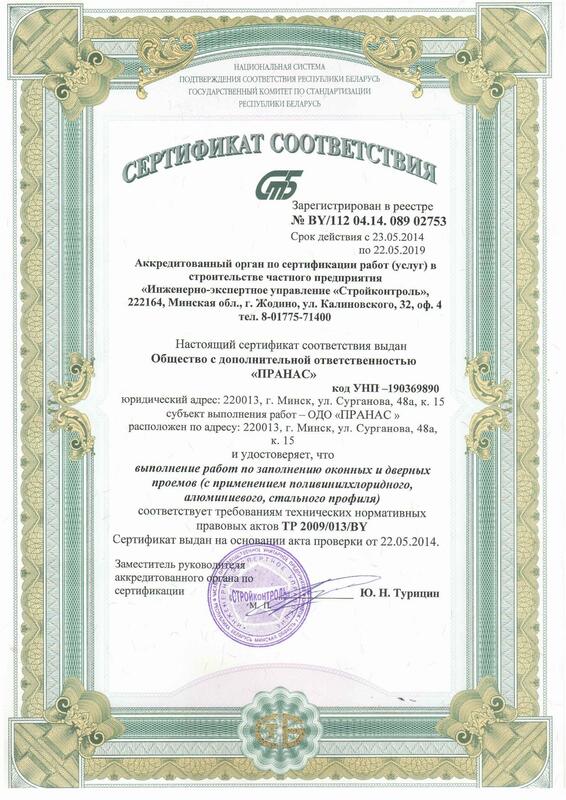 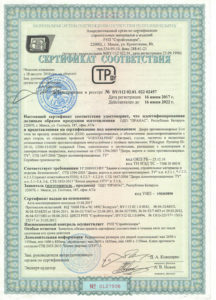 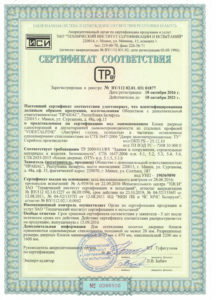 Quality and safety are confirmed with certificates.